A pen with a big smile with braces. 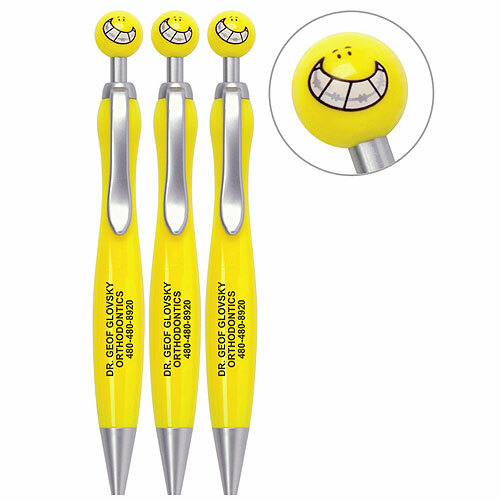 Fun pen with that personalized smile. Great for dentist and orthodontists.